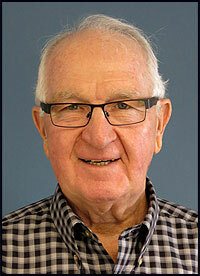 Doug Chickering served as the executive director of the Wisconsin Interscholastic Athletic Association (WIAA) from January, 1986 until he retired in August, 2009. Prior to joining the WIAA's staff he was elected to the organization's governing board for two three-year terms, which included one year as the president. He received his BS degree in mathematics and the physical sciences from UW-Eau Claire and completed his Master's in Education and earned post-graduate credits at UW-Superior. His employment experiences include 17 years as a district administrator in two Wisconsin schools, Gilman and Marathon. Doug now serves as the treasurer of the Wisconsin Retired Educators Association (WREA) and is also on the WREA's Foundation Board of Trustees. His volunteer activities include, in addition to those with the WREA, roles with the Madison Area Sports Hall of Fame, the Madison Area Sports Commission, Safe Sport Zone, and the Interscholastic Licensing Company. He and his wife Mary have lived in the Madison area since 2009.